The Whyte Gisburn features MTB-inspired geometry, a 1x specific frame and comes stock with a dropper post. Check out the stunning Chris Cross from iconic US brand, Fat Chance. 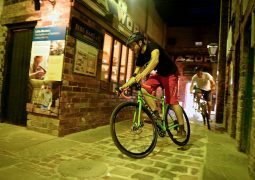 Razzing a bike around a cobbled racecourse around Sheffield? Sounds good to us! 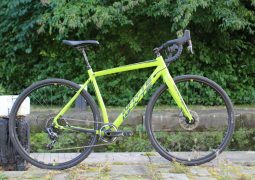 But would you race a gravel bike, a mountain bike, a hybrid, or a road bike? Or something altogether different? 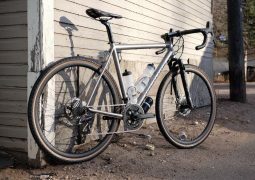 Alchemy is set to release a new titanium gravel bike. And this one’s sporting a rather intriguing prototype Fox 32 SC gravel fork too. 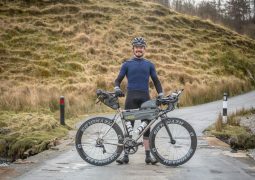 Ultra-endurance cyclist, Mike Hall, has his sights set on victory at the Indian Pacific Wheel Race. Here’s a look at the weapon he’s built for the job. Looking for some riding inspiration to get you through the working week? 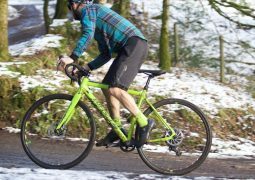 Morvelo shows us that any adventure on two wheels is exactly that – an adventure. For 2017, the Gisburn has drawn significant inspiration from the mountain bike world, with Whyte aiming to build a more capable, comfortable and confidence-inspiring drop bar experience. Fancy riding over 5000km crossing from one side of Australia to the other? The inaugural Indian Pacific Wheel Race is shaping up to be a monster. 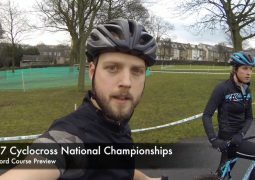 Accompanied by Hannah & Tom Payton, Wil takes us on a lap of the National Cyclocross Championship course in Peel Park, Bradford, West Yorkshire. 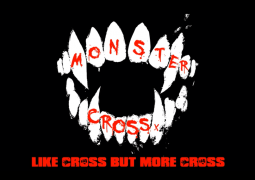 Ready to get your ‘cross on? 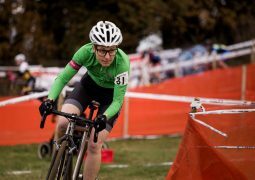 Britain’s fastest cyclocross racers will descend on Bradford this weekend for the HSBC UK National Cyclocross Championships. 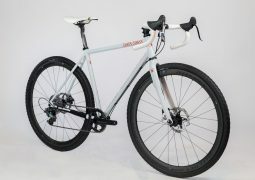 Isla Bikes introduces new high-tech cross and gravel tyres for kids bikes. Oh and a lovely 185tpi 700x32c number for grown-ups too. The 2016 British National Trophy Series has been run and won! 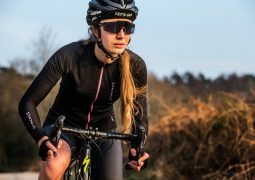 Check out this race report on Team Kinesis UK rider, Hannah Payton. 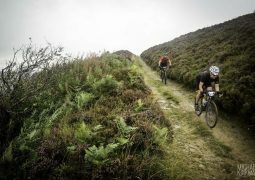 Yorkshire True Grit event is back for 2017! 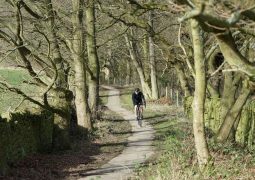 Read on for all the details about this gravel grinder event based in the Yorkshire Moors. 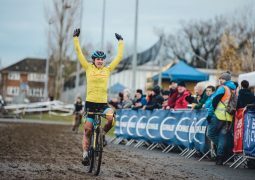 Round #4 of the 2016 British National Trophy Series has been run and won, and Chris Lanaway was there to capture all the action. 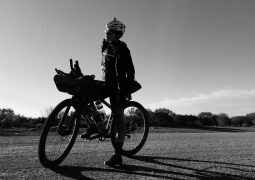 Two months of bikepacking through the Wyoming Red Desert in the US. Eat, ride, sleep, repeat. 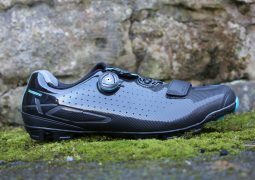 Want to know more about the new Shimano XC7 shoes? 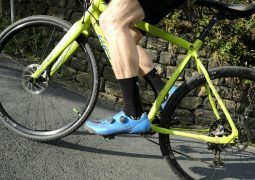 We’ve got a pair in for testing, so read on for lots of photos, specs and confirmed weights on these new disco slippers. 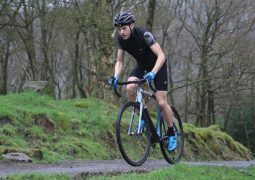 A story from a recent round of the Sussex Cyclocross League, and the first properly muddy cross race of the year. 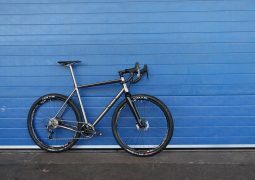 Kinesis UK has just dropped V2 of the Tripster ATR. 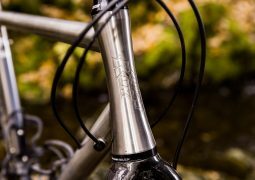 New titanium tubes, new geometry and new modular dropouts with thru-axle compatibility. Full details within. 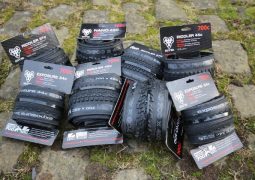 WTB appear to have it covered when it comes to wide 700c rubber, and we’ve got a selection of different treads to test out over the coming months. Check out our first look here! 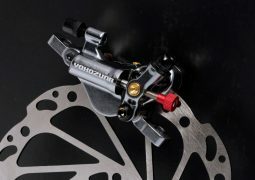 Known for their premium compression-less brake and gear cable system, Yokozuna has just announced their first disc brake for road and cyclocross use. 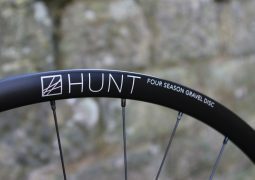 We get our first look at these lovely handbuilt hoops from Hunt Wheels. 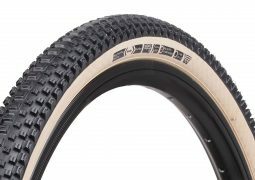 Wide, tubeless ready, disc specific and with a very attractive sticker price. 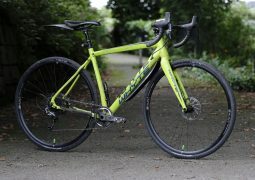 With a dropper post, thru-axles and mountain bike inspired geometry, does the Whyte Gisburn push the buttons? 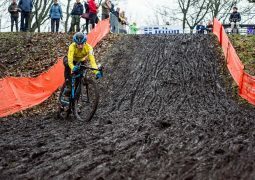 This is what you get when you mix cyclocross and an endurance race! Ready for a three-hour cyclocross race of monster proportions? Of course you are! Get to Derbyshire this weekend!